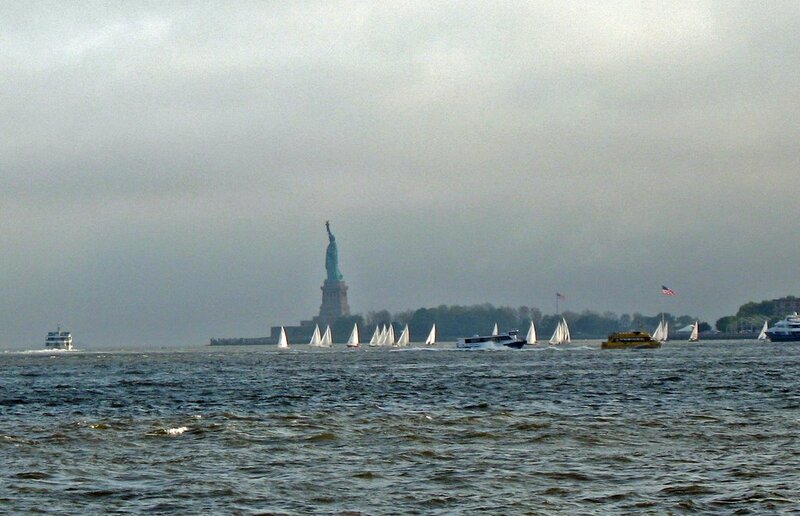 Another New York harbor scene. 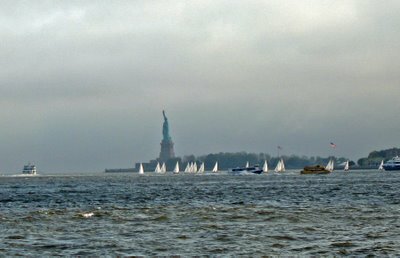 On May 31, I took a walk along the promenade at Battery Park City and got this view of the Manhattan Sailing Club's J-24 fleet arrayed in front of the Statue of Liberty. James Joyce has had a (A) good (B) bad (C) indifferent effect on the course of literature. My mind is open on this subject. Best response wins my frayed, dog-eared paperback copy of Portrait of the Artist that I read for Humanities 101 at the University of South Florida in 1965 (if I can find it). Beware the agenbite of inwit. Alay Soler pitches a complete game shutout. OK, I'm beginning to believe in these Mets.